Now that the elections are over, talk around the state will focus on the upcoming legislative session. We thought it would be best to return to legislative-specific wonky words to get everyone ready. As we have discussed here before, one of the most important topics of the session will be the budget. But how is the budget calculated? How does the state know how much revenue will be coming in and how certain pieces of legislation will impact the budget? There are two agencies that folks should be familiar with as we discuss the budget – the Office of Budget and Program Planning (OBPP) and the Legislative Fiscal Division (LFD). The difference between OBPP and LFD can get very confusing, so we thought this one would be a great place to pick back up. OBPP stands for the Office of Budget and Program Planning. Its website states: The Governor's Office of Budget and Program Planning provides expert fiscal advice to the Administration; communicates and implements fiscal policies of the Governor; and ensures sound fiscal management of state government through statutory oversight. LFD stands for the Legislative Fiscal Division. Its website states: We are committed to enhancing the legislative process through understandable and objective fiscal policy analysis and information. Clear as mud? We agree. That’s why we are here to help. Here is where they are similar. Both are government agencies housed in the State Capitol. They both provide fiscal analysis on the state budget and provide feedback to Legislators and other interested parties. Here is where they are different. The head of the OBPP is the Budget Director who is appointed by and reports to the Governor. The director of the LFD reports to the Legislature and does not change when legislative leadership changes. Each is responsible to a different government entity, which can lead to different analysis and conclusions based on the information requested by their respective employers. Throughout the year, both OBPP and LFD monitor the budget and make note of any changes in revenue or expenses. The LFD reports findings to the appropriate Legislative committee and OBPP makes recommendations to the Governor on any necessary changes. The OBPP is also in charge of helping the Governor develop of the budget. Remember this summer when we went over words like decision package and base budget? These are part of the process of preparing the budget every two years. OBPP is also responsible for reviewing all legislation and ballot initiatives and preparing an analysis of its financial impact to the state both in terms of expenditures and revenues. (These are called fiscal notes that we will explain in a later WWW). It is important to note that these agencies are in constant communication both during the session and during the interim. So even though each may develop differing analysis or projections, both are critical to the functioning of our government. There. Does that clear it up? Clearly these agencies are very important and have many more duties than I described above. As the session begins, we will all depend heavily on the information both will provide. 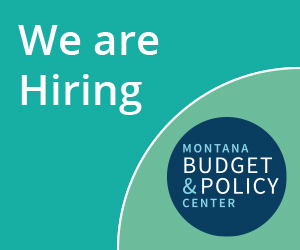 The Office of the Governor and the Montana Legislature must have the best data available to make the critical budget decisions that fund the services Montana needs to thrive. We will continue with Legislative wonky words until the session begins. We want to thank the Department of Revenue for its thoughtful feedback on our series on property taxes. If you have suggestions or feedback please let us know.